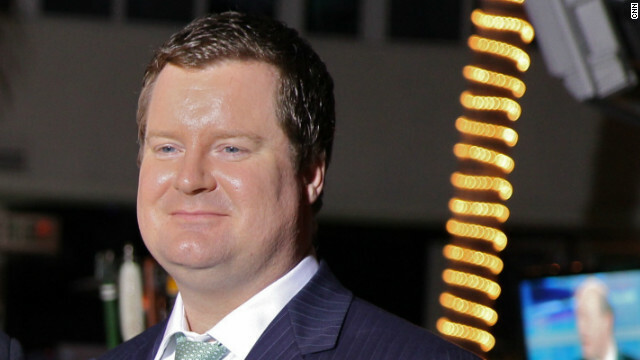 (CNN) – Conservative activist and CNN contributor Erick Erickson wrote Friday a primary challenge against Sen. Saxby Chambliss won't be in the offing after all, pointing to the ramifications an intra-party fight would have on his family. Earlier this week, Erickson floated the idea of challenging Chambliss after the second-term Republican senator said he would consider reneging on a pledge not to raise taxes. "Were I to run for the Senate, it would be a terribly nasty campaign," Erickson wrote Friday on his website RedState.com, which is popular with conservatives. "It'd actually be really awesome, but it'd be really nasty. I have a seven year old, a soon to be four year old, and a wife who does not like being anywhere near a stage. I'm not putting my family through that when the best outcome would mean a sizable pay cut and being away from my kids and wife all the time huddled in a pit of vipers often surrounded by too many who viewed me as a useful instrument to their own advancement." Erickson, who lives in Macon, Georgia, first discussed the possibility of running in a contest against Chambliss Tuesday evening and said he would discuss it with his family. "I had been rather dismissive of it, but in the past two days have been approached by several organizations and individuals I greatly respect who have asked me to really consider it," Erickson, also a CNN political contributor, said Tuesday. "I owe them that and will consider it, but am not prepared to commit to it. I have plenty of time to think about it." On CNN's "The Situation Room with Wolf Blitzer" Wednesday, Erickson said someone should challenge Chambliss ahead of the 2014 election, even if that challenger isn't him. "If it's not me, I hope someone does it. It's not until 2014," he said. "I've been very dismissive of calls saying run for this thing. But in the last couple days, I've gotten a lot of calls from some prominent folks that are throwing out dollar signs of what they can raise and I think I need to treat them more seriously than I have been." Other likely challengers for Chambliss include former Georgia Secretary of State Karen Handel, and U.S. Reps. Tom Price and Paul Broun. The potential challenges, Erickson said, were a "barometer of angst with Saxby Chambliss," though he said his wife was "firmly in the, 'I will bury you in the backyard if you run camp.'" Reaction to his remarks, Erickson said, had been eye-opening, saying "in the past week I've learned who real friends are and are not." Opposition to Chambliss is not new to Erickson, who has targeted his fellow Georgian for compromising on immigration and energy legislation, as well as the farm bill and federal bailouts. "Conservatives supported him [in 2008] because we knew he was what stood between America and 60 Democrats in the Senate," Erickson said Tuesday. "But he never learned his lesson and continues to support all the compromises that have gotten us into this mess in the first place." CNN's Kevin Bohn and Kevin Liptak contributed to this report. It not terrorist that allack causing BRIDGES collapse, oppose infrastructure, green energy–it is now GOP thugs that are doing–as long as we DO NOT drive these animals fron political spectrum–our BRIDGES, AIRPORTS, NATIONAL HIGHWAYS KEEP COLLAPSING. Very true statement. Of course he won't run. Why serve in the Senate when you can make a boatload of money screaming endlessly in support of crackpot ideas that you never have to take responsibility for? Those are the prople forcing the GOP even further to edge of the Sanity Cliff. "Were I to run for the Senate, it would be a terribly nasty campaign,"
I guess he remembers what Saxby did to U.S. Senator, triple amputee and war hero, Max Cleland in 2002. The lies about Cleland, and images of bin laden and Saddam Hussien with Cleland. Really low class campaign. You don't want to mess with Saxby. Chambliss is a low life liar with no business being in Congress. What he did to Max Cleland was an utter disgrace. Erickson's decision not to run was knowing some of the unpopular things he said would come back to bite him, he'd lose and also lose out on anyone hiring him. Erickson would loose. Chambliss or the GOP should not be afraid to break the pledge. It's OVER for GROVER anyway. republicans as a whole are a disgusting nasty lot . They always have eaten their own. This one is just a really disgusting and we really don't care if he doesn't run. Gurgyl – not only do the Republicans not want to fund our infrastructure, they want to privatize it. This would result in every highway being a toll road and every bridge a toll bridge. Increased fees would be associated with flying and taking the train to cover the costs associated with bring the airports and railway systems at least up to 1980s standards. We already see how the "privatized" electric system doesn't really work, either. At least when the states were allowed to actually regulate the industry, they could mandate infrastructure improvements as a part of rate hikes. Now, the electric companies can be so bold as to say they want a rate hike to cover the costs of raises for management! Not only that, they get them, too! John Boehner and Morning Joe . Drinking and smoking our way over the cliff is the GOP way ! He knows the chance for him to win is very slim. He read the posts this week and gave him a clue which he hadn't before. "....and being away from my kids and wife all the time huddled in a pit of vipers often surrounded by too many who viewed me as a useful instrument to their own advancement." Please, note. He's referring to his fellow conservatives and Republicans in that statement. "...a pit of vipers..."
Let him run against Chambliss if he can. Anyone remember what happened to Christine O'donnell? Repubs lost a reliably Repub seat. I would have hoped he did run. It is time for these talking heads on the right to put up or shut up. Let them run for election. If they win, then we can see how quickly they lose those strong sentiments that they have. It looks like the TPers are going to give Saxby's seat to the D running against them in Georgia. Thanks!